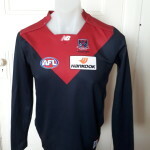 The AFL are a progressive organisation always seeking innovative ways to attract new fans. AFLX, a fast and exciting version of Australian Football, is to be played on a rectangular field and aims to showcase the unique and most thrilling aspects of the game to attract supporters. Games of AFLX are scheduled to be played in February 2018 when Adelaide, Melbourne and Sydney host individual tournaments featuring all 18 AFL Clubs. The X in AFLX relates to the roman numeral character for the number ten, which is a constant throughout the alternative version of the game. 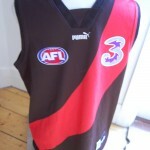 No announcements have been made about the jumpers, jerseys, guernseys the participating teams will play in. 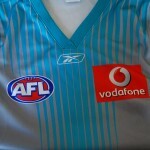 Will they replicate the original home and away jumpers, jerseys, guernseys worn by the 18 clubs in the AFL? 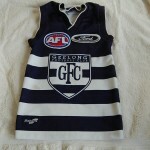 Or will they play in new different jumpers, jerseys, guernseys? The AFL 2014 fixture is drawing to a close . Only three more games remain in the Home and Away 2014 season .Some teams will make the Finals , some will not . 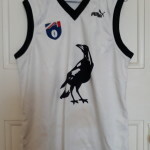 Fans , avidly following their teams fortunes , emblazoned in their football jumpers , jerseys , guernseys ,hope their team will make it to the big stage in September . 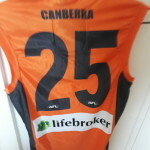 Many players are announcing their retirement , as their battle scarred bodies call a halt to the punishing training schedule , match day adrenalin , and mental and physical exhaustion , that is the reality of playing modern day footy . 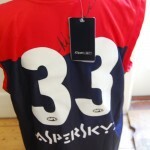 Fans have ridden the roller-coaster ride with many favourite players . They are sad to see the familiar faces and names call a halt . Now , they look forward to witnessing the new brigade of superb athletes, receive the baton from the retirees, and take up the reins , to provide fans with more thrills , and gut busting excitement . 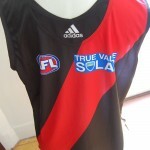 Footy , its our game , and we welcome the new dawn .of the ever evolving face of footy . 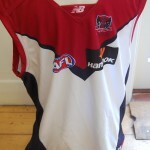 AFL Footy jumpers are set to have players names on the back . 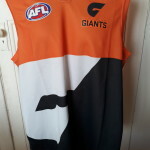 The AFL has had a 100 year tradition of leaving the players guernseys nameless . 2014 sees them break this tradition , and is trialling the naming process this year. Begs the question is it for identification purposes of trial by video ? Will it will identify on field players from each other . 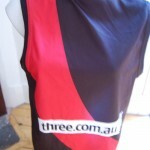 Fans will clearly know who they are supporting or heckling , and umpires will know who to penalise ! Where will the name go ? Above the number ? 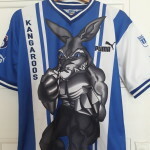 Or under the sponsor ? 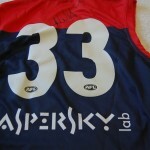 Historically , many sporting codes have printed the players names on the back . The British EPL , and European Football Clubs , have done so for many years . 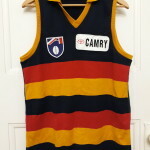 Does this mean the humble AFL football jumper , jersey , guernsey , is finally coming of age ?